Guangzhou is the most important Commodity distribution center in south China. 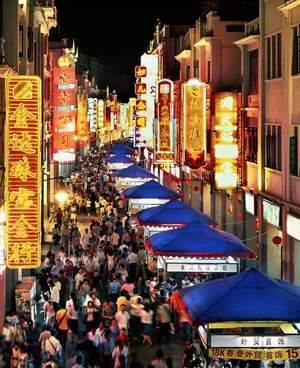 Guangzhou boasts eight major shopping streets, such as Dishipu, Beijing Road, Gaodi Street, Culture Street, Night Market and the Golden Fish Street. If you take a tour of these shopping streets, you will surely come back with lots of commodities. 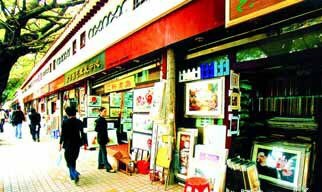 Antique Street in Guangzhou is an antique lover’s paradise! 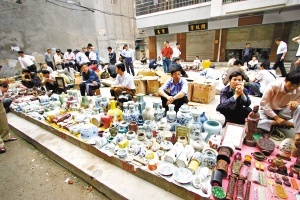 The antique market is situated in the alleys off Daihe Lu. It's very informal and consists mostly of people peddling wares from their windows or the back of a truck. The Antique Street in Guangzhou is not busy or crowded but has shops offering trinkets, China, jade, furniture etc. The selection, however, is not very extensive. There are also antique shops near Qingping Market. As expected, most of these stores cater to tourists so it will be tough to bargain. 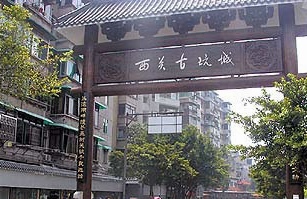 Guangzhou Xiguan Antique Market is located at No. 1 Liang Feng-Yuan Road.This market is the only approved relic artifacts antiques market operators in the nearby district and it's one of the top ten antique markets in china.The market is at an advantage with the strength of some well-known collectors and antiques business. Here the operators mainly engaged in the old ceramics, celebrity pictures, four treasures, jade jade, as well as different types of old and new intersect mainly the old works of art. Walking in the street apart from the impressive variety of rare baby, as well as touching elegant name is really very relaxing. 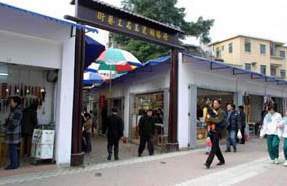 All the stalls are built like a pair of Xiguan style, the entire street tree-Yam elegant environment. Antique shops in the streets of various sizes, the sale of things there is also genuine, it is necessary to buy the real thing, entirely personal Kam Po vision and luck. The main products sold in the market include antique ceramics antique four treasures of calligraphy miscellaneous coins.